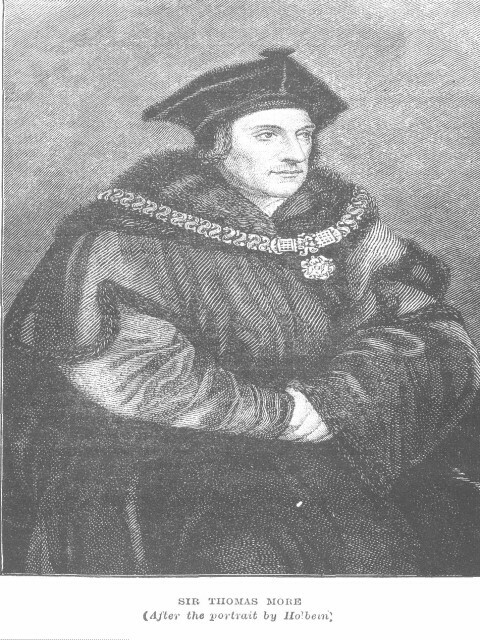 Thomas More was born in London ca 1478. The son of a judge he had a reasonably comfortable youth and was sent to Oxford University. Later he completed his legal studies at New Inn and Lincoln’s Inn. He went on to teach law at Furnival’s Inn before becoming a member of the House of Commons in 1504.
eventually used his position to hinder the growth of Protestantism in England. for fear of retaliation and allegation of heresy. A multi talented man, More was also a writer, and realised the power of books on people’s opinions. 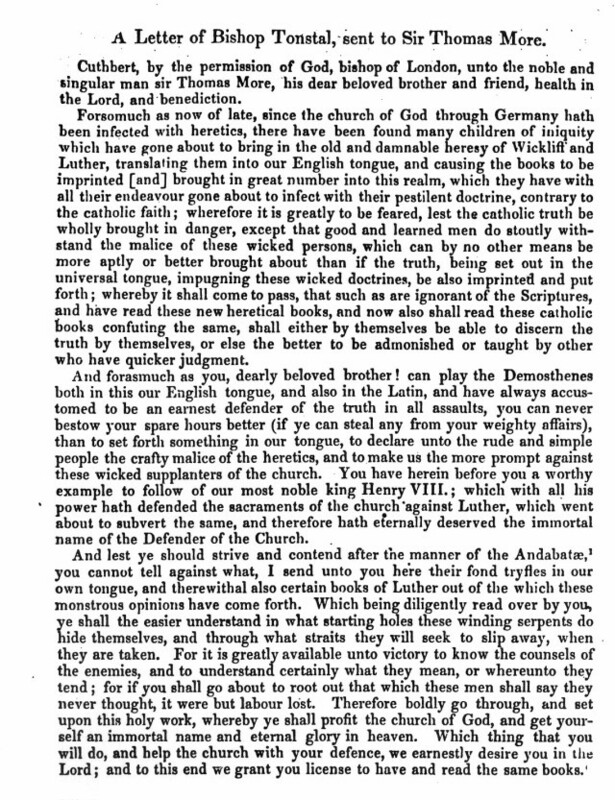 As a strong Catholic he drew up a list of Protestant books, including Tyndale`s English translation of the Bible, that he considered should be banned. Laws were promulgated and public burning of books took place. Anyone selling Protestant books were treated more harshly and were likely to be burnt at the stake as a heretic.